It’s got to be better than Batman v Superman, right? At least it isn’t Batman v Superman. Mediocrity, thy name is Justice League. The latest film off the DC production line sees Batman and co team up to fight an ancient evil force, with underwhelming results. Before the opening credits of Justice League roll, Henry Cavill’s Superman is shown being interviewed by two young fans. He recalls a spot of bizarre advice passed on to him by his father (presumably Kevin Costner, not Russell Crowe): “Hope is like your car keys. It’s easy to lose, but if you look close enough, it’s usually close by.” The scene cuts to a sombre montage as the world mourns Superman’s untimely death, picking up where Batman v Superman left off, with racial tensions flaring and robot insects beginning to invade Earth. Luckily for everyone, curmudgeonly billionaire/bat enthusiast Bruce Wayne (Ben Affleck) intends to assemble a rag-tag band of heroes to save the world from generic-CG-baddie-of-the-week Steppenwolf (Ciarán Hinds), who’s trying to enslave the planet for nefarious, convoluted reasons best summarised as ‘because’. 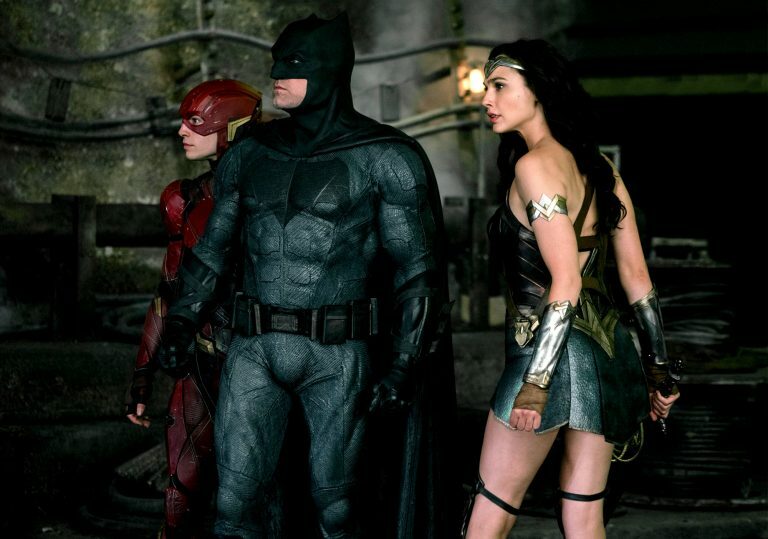 Wayne awkwardly reunites with his BvS colleague Wonder Woman (Gal Gadot, riding high after her solo blockbuster outing) and the pair trundle off to recruit – with the minimum amount of backstory – The Flash (Ezra Miller), Cyborg (Ray Fisher), and Aquaman (Jason Momoa) to their ‘Justice League’. Following the major disappointments of BvS and Suicide Squad, Warner Bros and DC appear to be sticking to a new blueprint here. There’s a familiarity to proceedings, even down to The Flash’s slo-mo sequences which we’ve seen something similar to before in X-Men: Days of Future Past and Avengers: Age of Ultron. 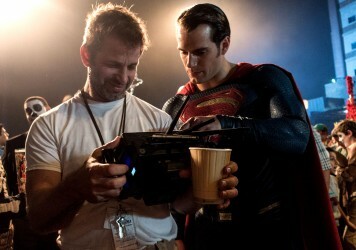 Comparisons will inevitably be drawn between director Zack Snyder’s work and its Marvel counterparts, particularly given Joss Whedon had a large hand in reshaping Justice League at the behest of the studio. But what Avengers: Assemble had that Justice League fails to find is a cohesive, fully-realised tone, and reconciling the inherent darkness of Batman with the perpetual light of Kal-El proves too great a task for an ensemble movie. There’s an unwillingness to commit, particularly in Affleck’s case, as if he’s constantly being restrained from bringing any sort of conviction to the part. Batman, when squaring up with actual superhumans, adds little more than comic relief. 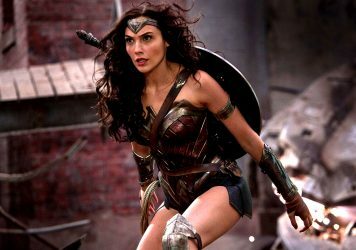 The uneven tone and feeling of underdevelopment are best evidenced in the forgettable action sequences and an uncanny valley-esque airbrush job on Henry Cavill’s face due to the inconvenient reshoots which plagued production. As a result of repeated studio intervention, this is a Snyder film in name only. Mediocrity reigns, and although there’s a pleasing amount of Wonder Woman throughout the two-hour runtime, the film wastes its best asset in Ezra Miller, who gives a delightfully wide-eyed, quippy performance but is effectively relegated to the role of DC’s knockoff Spider-Man. In the shadow of the almighty Superman, franchise newcomers Jason Momoa and Ray Fisher are similarly given little to do aside from stand around looking tough and delivering stilted soundbites, which do little to establish any sense of history, personality or camaraderie between them. 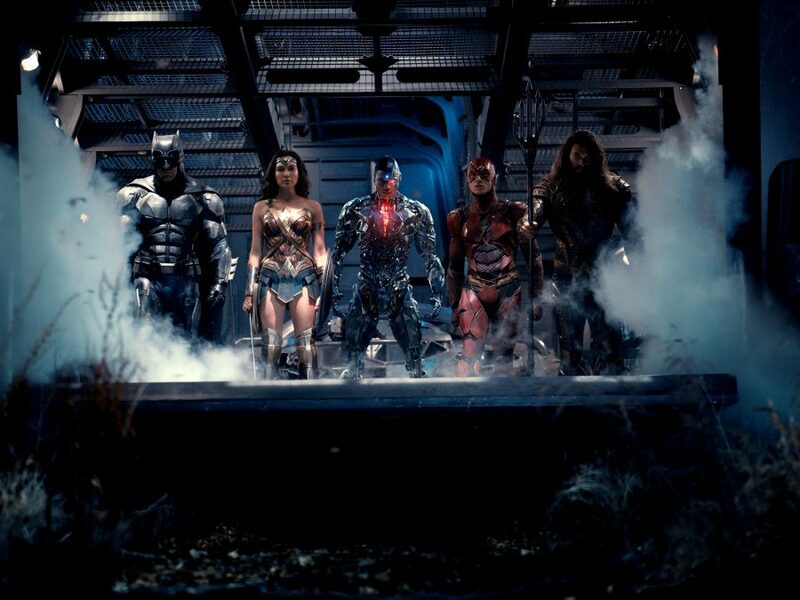 Ultimately Justice League feels like an exercise in contract obligation, with Warner Bros and DC ticking boxes in order to keep the necessary cogs in the DCEU machine turning (see universe-expanding shots of Green Lantern Corps and a nod to Matt Reeves’ forthcoming The Batman). 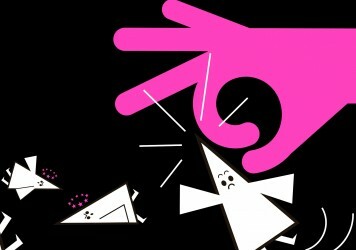 While notes have clearly been taken off the back of earlier misfires, there remains a distracting air of cynicism about this whole venture. The best that can be said for this film is that it exists – and it’s not completely awful. But if this is what DC’s first string looks like, don’t hold out on those car keys turning up anytime soon. A compelling story, neatly-drawn characters and an inspiring lead help this DC comic book movie to soar. The incredible true story of a hero with a secret identity who battled a gang of masked villains. He reinvented the comic-book movie. He filmed the unfilmable. So why doesn’t the Batman V Superman director get respect?